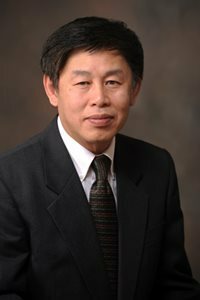 Yon Rojanasakul, Ph.D., co-leader of the Sara Crile Allen and James Frederick Allen Comprehensive Lung Cancer Program at theWest Virginia University Mary Babb Randolph Cancer Center has been selected to join a global task force focused on the complexity of cancer. Dr. Rojanasakul and other cancer scientists from 31 countries are part of a collaborative international initiative called The Halifax Project led by Getting to Know Cancer – a non-governmental organization based in Canada. “I am happy to be part of a global effort to better understand what causes cancer so that we can ultimately develop better ways to treat the disease,” Rojanasakul, who is also a professor in the WVU School of Pharmacy’s Department of Basic Pharmaceutical Sciences, said. Rojanasakul and his colleagues are writing articles on various aspects of cancer, including cause and treatment methods. He is focusing on the role of apoptosis in cancer development. Apoptosis, commonly referred to as programmed cell death, is a method the body uses to get rid of unneeded or abnormal cells. This process is defective in cancer cells. “In my research, I look at what causes cancer cells to be resistant to apoptotic cell death and ways to overcome the resistance,” he said. The task force members will spend the next year reviewing what they know about cancer’s complexity and will study the risks associated with everyday exposures to mixtures of commonly encountered chemicals, such as pesticides and food additives, to determine what role they may play in cancer causation.